As part of a 2-person team you’ll receive a script and slide show to train area hotel and motels on how to recognize the signs and how to respond. 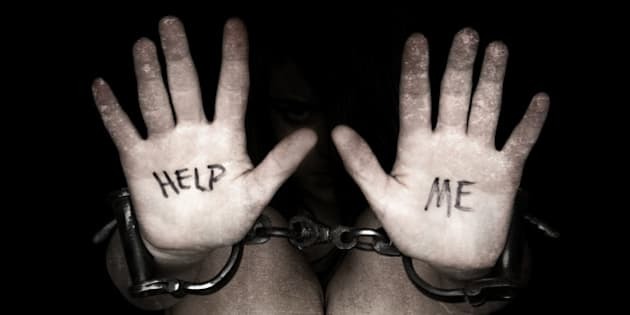 Traffickers now avoid facilities that are trained so we know we can make a difference. To sign up, go to rotarydistrict5650.org and click District events or email sharon.wherry@gmail.com. Nice list. No need to vote but do if you wish. Or copy, paste and email to a friend. What should be the top areas of focus for Congress in 2019? OLLI – Osher Life Long Learning – has been just a great success. In the last months of a 3 year grant, OLLI had 304 members with a long term goal of reaching 500 members. Meeting this goal would earn a $1 Million endowment to help educate Seniors in Lincoln NE..On March 1st, 2007, with publication of a 4 page, color ad in the spring issue of the Lincoln 55+ Senior Paper, our membership jumped in just 6 weeks to 447. After the next 4-page ad in the summer issue, we reached 537 – well beyond the “long-term goal.” After the membership year ended, we dropped back to 440 members but surged forward again after the Fall 2007 ads – to 650 members. So – in 10 months, OLLI membership rose from 304 to 650. Wow. And yes! We did get that 1st $Million endowment. OLLI board members carried 1200-1500 papers (of 12,000 total) to their friends and neighbors and doctors offices for each issue. Offering the 55+ Paper became a method for starting a conversation about OLLI. The Lincoln 55+ is proud of the the 12 years relationship with OLLI. in 2018, we are over 1400 members and now have a second endowment in hand. A million here and an million there adds up. Read Full text at the link. Dr. Edelman argues that not every type of conversation and any kind of question contributes to strengthening the relationship because it is not always easy to explore sensitive topics in depth or to find out what our partners think without being perceived as snooping or critical. She, therefore, suggests using the 9 questions below, which will help you get to know your partner in depth and make it easy for them to open up to you. If you use them regularly and adjust the way you relate to the spirit of these questions, you will have a strong relationship in which you can talk about everything and raise important issues without fear. 1. What do you find hard to share with me? 2. What are the five things that you’re happiest for right now? 3. How do you see our relationship? 4. How’s your relationship with your family? 5. What achievement made you feel proud? 6. What is your worst memory? 7. What would you change about yourself? 8. What was the last thing you cried about? 9. What does your perfect day look like? It’s almost time for our kiddos to return back to school and we need your help. We are once again providing new shoes to send very deserving kids back to school in style and with confidence. Do you remember how excited you were going back to school, with your new kicks? I’m asking you to give those same great memories to our kids. Last year we donated over 300 pairs of new shoes!! 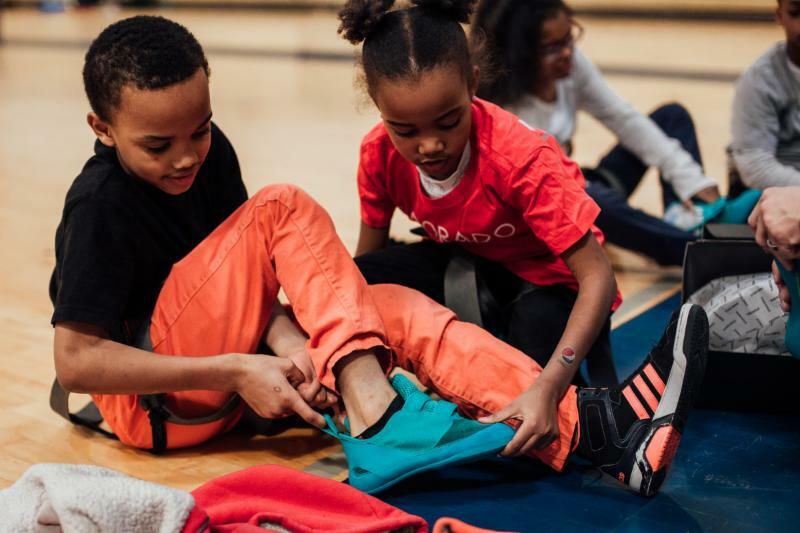 Help us reach our goal of giving 600 pairs of shoes to kids this year!!! Click on the button below to donate $25 for 1 new pair of shoes. Your gift is truly life changing. YES, I’d love to give a kid a new pair of shoes! This is very long but complete. Copy it to your desktop so you can edit and save the events you want. Jun 5 6 pm Jazz in June Garden Tour, Meet at the east entrance of Sheldon Museum of Art. Jun 16 @ 6 pm United Lutheran Church, 5945 Fremont St, Live entertainment. Games for kids.No charge. No free will offering. Jun 17 11 am – 4 pm Start at any location; maps and brochures available at each site. Homeowners on hand to answer questions. $7 donation; Children under 12 – free. Jun 21 @ 10:30 am Downtown Aging Partners, 1005 O Performance for the monthly Birthday Party. Homestead National Monument of America, Four miles west of Beatrice on Hwy 4, Beatrice Jun 22 @ 1 pm Days of the One Room Schoolhouse by Nina Jean Rohlfs; 2 pm Memories of One-Room Schools by Paul Siebert Jun 23 @ Noon Homestead Harmonizers Both days: 1 pm & 3 pm Lessons Learned from President Lincoln by Gene Griessman; 2 pm Lincoln IIrish Dancers; 4 pm Legends and Leaders of the West by Deb Carpenter-Nolting and Lyn Messersmith http://www.nps.gov/home/. 14th and O Sts Jul 6 5 pm Evan Bartels; 7 pm Lil’ Ed & The Blues Imperials; 9 pm Los Lobos; 11 pm Josh Hoyer & Soul Colossal Jul 7 1 pm BluesEd Program of Omaha & Lincoln; 3 pm Hector Anchondos; 5 pm Igor & Red Elvises; 7 pm Dale Watson & His Lonestars; 9 pm Tommy Castro and the Painkillers; 11pm Nikki Hill. Advance Jul 6-$30; Jul 7-$25 2 day – $50; At door: Jul 6 -$35; Jul 7-$30. Jul 26 6 – 8 pm Embassy Suites, 1040 P St Taste one-bite dishes from Lincoln Restaurant Week menus while enjoying a beverage, music by Darryl White, a benefit for the Lincoln Food Bank. Aug 18 9 am – 5 pm Seward County Fairgrounds, Seward. Archaeologists, amateur collectors, educational institutions and federal and state agencies collaborate to educate the public about the archaeological heritage of the Great Plains with historic and prehistoric artifacts. Activities, demonstrations and speakers from the professional archaeological community. Sponsored by the Nebraska Archaeological Society. $5; 12 & under – Free. Aug 25 9 am – 5 pm UNL City Campus Union, 1400 R St It will feature author appearances, book signings, exhibitors, booksellers, poetry readings, and hands-on family activities. Authors include Janice Harrington, Stew Magnuson, Brandon Vogel, Melissa Fraterrigo, Jeff Kurrus and Michael Forsberg. July 12, 13, 14, 15, 19, 20, 21, 22 @ 8 pm Pinewood Bowl, Inc. Pinewood Bowl Amphitheatre, Pioneers Park Elle appears to have it all. Her life is turned upside down when her boyfriend dumps her so he can attend Harvard Law. Determined to get him back, Elle charms herself into the law school. While there, she struggles with peers, professors, and her ex. With the support of some new friends, Elle realizes her potential and sets out to prove herself to the world. Advance tickets at Russ’s: Adult (age 13 or older): $12 with Russ’s card, $13 without card Kid (age 5-12): $5 At Gate Adult $15, Kids $6 under 5 – free. Pinewood Bowl Amphitheatre, Pioneers Park, 3201 S. Coddington Ave.; Tickets at the Pinnacle Bank Arena ticket office, all Ticketmaster locations, ticketmaster.com or 1-800-745-3000. Jun 26 Daddy Mac & the Flak. At the age of 84, U.S. Supreme Court Justice Ruth Bader Ginsburg has developed a breathtaking legal legacy while becoming an unexpected pop culture icon. The unique personal journey of this diminutive, quiet warrior’s rise to the nation’s highest court has been largely unknown, until now. Forced to marry a slave trader, young Beatriz faces physical and emotional unrest beyond her years in the stunning film, which explores the fraught intersection of feminism, colonialism, and race that has persisted across centuries and continents. Charley finds acceptance and camaraderie caring for an aging horse named Lean On Pete until he discovers that Pete is bound for slaughter. They embark on an odyssey in search of Charley’s aunt and experience adventure and heartbreak, but don’t lose hope as they pursue a place they can call home. A divorced Parisian painter is searching for another shot at love, but refusing to settle for the parade of flawed men. There’s the married a caddish banker; a handsome actor with his own hang-ups; and an artist who’s skittish about commitment. One summer at a lakeside Russian estate, friends and family gather for a weekend in the countryside. While everyone is caught up in passionately loving someone who loves somebody else, a tragicomedy unfolds about art, fame, human folly, and the eternal desire to live a purposeful life. Zama, an officer of the Spanish Crown born in South America, waits for a letter from the King granting him a transfer from the town in which he is stagnating. When Zama notices everything is lost, he joins a party of soldiers that go after a dangerous bandit. An affecting human drama of love, loss, and resilience unfolds in 1915 France against the backdrop of World War I, as the women of the Paridier farm must grapple with the workload while the men are off at the front. When a parishioner asks a parish pastor to counsel her husband, a radical environmentalist, he is plunged into his own tormented past, and equally despairing future, until he finds redemption in an act of grandiose violence. A gripping thriller about a crisis of faith that is personal, political, and planetary. Bonnie and Clyde’s mutual cravings for excitement and fame has them chasin their dreams. Their bold and reckless behavior turns into a downward spiral. The lovers resort to robbery and murder to survive, but their inevitable end draws nearer. The volatile relationship between teacher Annie Sullivan and her student, blind and mute Helen Keller. Trapped in a silent world, unable to communicate, Helen is violent, spoiled, almost sub-human and treated by her family as such. Annie realizes that there is a mind and spirit waiting to be rescued from the dark, tortured silence. Jul 21, 26, 27, 28 Aug 2, 3, 4 @ 7 pm Jul 22, 29 Aug 5 @ 2 pm Oliver! Oliver, an orphan in Victorian England, becomes a neglected apprentice. He escapes to London and finds acceptance amongst a group of petty thieves. When he is captured for a theft that he did not commit, his benevolent victim becomes his only chance of discovering the true love of a family. This witty musical revue tackles love in all its forms; from the perils of a first date, to marriage, children, in-laws and the twilight years, with creative musical numbers that touch the heart and tickle the funny bone. Aug 3 @ 7 pm Aug 4 @ 2 pm Disney’s High School Musical, Jr.
​Dramatic Comedy: All the ladies come to Truvy’s beauty salon. When the play moves toward tragedy, the characters draw on their underlying strength and love which makes them truly touching, funny and marvelously amiable company in good times and bad. Farce: A dowager commissions Edgar Allan Poe to write her a poem. But the man who shows up is Poe’s mailman, and he’s on a quest to woo the dowager’s niece. Playing Poe is hard, when your mustache keeps falling off, a teenager is lusting after you, and Poe’s arch-nemesis drops by to settle old scores. A freewheeling, door-slamming farce with a touch of the macabre. Musical: This whimsical show follows two great friends-the cheerful Frog and the grumpy Toad- through four fun-filled seasons. The jazzy, upbeat score bubbles with melody and wit, making it an inventive, exuberant, and enchanting musical for the whole family. Romantic Comedy: This comedy is about the search for the most elusive of entities, the soul mate. It is eleven vignettes that cover the first kiss to the not-so-golden years of marriage. This is a raucous ride through relationships with would-be and shouldn’t-be couples trying to find each other. Thriller: Hill House has a forbidding and sinister reputation. Four investigators arrive to study the occult forces that have made it uninhabitable. Their visit begins with jovial informality, but their sensibilities are soon jolted by strange and eerie occurrences, and eventually, for one of those present, fatal fury. The villainous bank president is about to be exposed as an embezzler so he hatches a plan to cover his tracks and empty the bank at the same time. He masquerades as a wedding planner and invades the lives of the bride to be, and Happy, groom to be. Can Happy save his bride, and her perfect wedding? A slacker from New York City is shipped off to his aunt’s ranch out West. He can’t wait to leave until he meets the beautiful Millie; a damsel in distress. Will he be able to save Millie from the awful Mooselips Tompkins; the village villain? Years ago, Gretel escaped from the candy house of an evil witch. She now lives at the edge of Waverly Wood which has its own witch, who has dastardly plans involving a handsome young stranger named Jack. Can Gretel and her friend, Little Red Riding Hood, save Jack from a terrible fate? Jul 12 Bill Chrastil: A Salute to the Greats! Sep 13 Johnny Ray Gomes and Son: It’s a Family Affair! Bus departs Northeast Senior Center, 6310 Platte Ave. Transportation to the event and theatre tickets is included in the cost. Jun 20 Singin’ in the Rain at the Omaha Community Playhouse Depart at 6 Play begins at 7:30 pm $56. Sack lunch provided. Reservations required at 402-441-7158 by noon, Jun 6. Jul 8 Day-Trip Tour: Brownville Village Theatre (matinee – “Steel Magnolias”) and the Spirit of Brownville Dinner Cruise. Depart at 9:30 am Return about 9:30 pm $72 Reservation and payment deadline is Jun 25. 402-441-7158. Bob Ross® Oil Painting Class. Jun 26 Brain & Nature by Anne R. Schutte and Julia Torquati Natural environments have positive effects. Through Jun 17 George Churley Puppets – Featured on TV’s “Kalamity Kate’s Cartoon Corral” and hundreds of live performances in the 1970s. Through June American Dreams in the Cold War: The Photos of Barbara and Ralph Fox Slices of life from 1950s-60s, including a nuclear bomb test and the arrest of mass-murderer Charles Starkweather. 14th & U Sts. 402 472-2642 Mon to Sat 9:30 am to 4:30 pm; Sun 1:30 to 4:30 pm; Thursday til 8 pm closed Jul 4 Adult $6; 5-18 years $3; 4 & under 4 – Free. Family admission (up to two adults with children) is $13. Additional charge for planetarium shows. Open Jun 23 The Museum Builders Paleontology and what led to construction of Morrill Hall. Mon – Sat @ 11 am Sun @ 2 pm Cosmic Adventure This high speed adventure for family audiences takes you on a roller coaster ride from the Moon through our solar system, galaxy and beyond. Mon – Sat @ noon Sun @ 3 pm We Are Stars Connect life on Earth to the evolution of the Universe by following the formation of hydrogen atoms to the synthesis of carbon, and the molecules for life. Explore the secrets of our cosmic chemistry and our explosive origins. Sat @ 10 am The Little Star that Could for ages 2 – 4 An average yellow star, in search of planets to protect and warm, learns what makes each star special, and discovers that stars combine to form star clusters and galaxies. Sat @ 1 pm Big Red Sky Tour Discover what we can see in summer night skies over Nebraska with just our eyes or by using binoculars and telescopes. Identify constellations, uncover some facts, legends, and ancient stories behind these stars. The gallery is on the second floor of the Home Economics building at 35th St. north of East Campus Loop. Mon-Fri 8:30 am to 4 pm and by appointment at 402 472-2911. Closed University holidays and between shows. Free. The historic Indian practice of pichvais is devotional paintings on cotton cloth made as temple hangings in Nathdwara, Rajasthan. The work from one family, including Charturbhuj Sharma, his sons Shyam Sunderji, Mahesh, and Yugalkishor, and Shyam’s son Jatin represent the fifth, sixth and seventh generations of pichvais painters. Join Birdnerd Jason for free guided bird walks on three new Prairie Corridor properties. Registration required. limited to the first eight. Meet at Spring Creek. Jul 7 9 – noon Butterfly Count After a slide show, participants disperse with an expert to count areas. Data collected is sent to the North American Butterfly Assn. $6 Register by Jul 5. Jun 9 Noon – 1 pm Go Behind the Scenes Tour Includes a visit to the collections area. $30 402-472-6549 to reserve. Jun 22 1:30 – 3:30 pm Go Behind the Scenes Tour Includes a visit to the collections area. $30 402-472-6549 to reserve. Through Jun 28 Eiko Okano’s Delectable World A leading Japanese artist, Eiko Okano, displays a predilection for depicting food. She finds beauty in everyday life, and considers her meals especially appealing. Okano celebrates commonplace things in cloth. Through Jul 29 Molly Anderson: Intricate Embellishment A sampling of her work made over the last 20 years, featuring nontraditional work made with historical patchwork and embellishment techniques: paper-piecing, broderie perse, hand-quilting and decoration with beads and found objects. Through Aug 26 Sustaining Tradition in Western India: Quilts Made for the Market Royal families displayed their wealth with bed quilts made from expensive fabrics. Rich merchants commissioned intricate all-white bed quilts. Villagers adorned their homes with brightly colored patchwork ralli, while city folk favored printed whole-cloth razai. Through Aug 30 Singular Fascination A look at quilts made by repeating a single basic shape across the entire surface of a quilt. Examples from 1840 through 1960 showcase the ingenuity, precision, and skill with which American quiltmakers deployed their color palettes to create complex figure-ground relationships, effects of light and shadow, and textural illusion. Through Sep 16 War and Pieced: The Annette Gero Collection of Quilts from Military Fabrics These spectacularly complex geometric quilts were made by men using wools from British military uniforms. These quilts, which often incorporate thousands of pieces no more than one-inch square, assume a deeper emotional resonance as we consider the quilts within the matrix of war and its aftermath. Jun 15 to Oct 28 Color and Contour: Provencal Quilts and Domestic Objects The strong golden sunlight of Provence illuminates all detail. Sumptuous, single-color textiles, and small wood and clay objects both show the play of light and shadow as a practiced art. Through Jun 30 Elizabeth Rubendall Artist in Residence: Henry Payer Henry Payer is a Ho-Chunk multidisciplinary artist who works primarily with collage and mixed media. He references the altered landscape through Indigenous cartographic methods of “picture-writing” with traditional aspects of spatial representation and symbolism combined with cubism, spatial distortion and collage. Through Aug 25 Robert Lee Taylor A self-taught Oklahoma artist of Native descent, Taylor is best known for his usage of iconic symbols and manipulation of proportion seen often in the hands and feet. Through Aug 25 Oddities Unique artworks from the permanent collection that don’t quite fit into the realm of the Great Plains. Jul 13 – Oct 20 Art & Poetry of the Barada Hills Watercolor paintings by John Frederick Lokke paired with poems by Jan Chism Wright tell a story about the rolling hills of southeast Nebraska through images and words. 124 West D St., Elmwood Open by appointment only, 402 994-3855 to schedule. Museum free with paid house admission. Through July 29 Roberto Salas Photographs by Roberto Salas that present significant moments from the Cuban revolution as well as intimate portrayals of Castro and other key figures from the time. Through Jul 29 Michael Eastman: Havana These large-scale color photographs of Havana transport the viewer to the streets and interiors of a decaying urban landscape resonant with the stories and echoes of the city’s inhabitants and culture. Aug 10 to Dec 31 Maybe You’ll Be There: Approaching Landscape An exploration of how artists depict natural, built, and imaginary environments as ways to explore the complex relationships we have with the places we choose to inhabit. Group travel to promote friendship with other countries, most with home stays. Jun 10 @ 6:30 am Field trip – Waubonsie Walkabout Waubonsie State Park’s forest encompasses the diverse flora and fauna of Iowa’s Loess Hills. Meet at the Wachiska parking lot, 4547 Calvert St. to caravan. Free Public welcome. John at 402-475-7275 with questions. Jun 30 @ 2 pm Fertig Prairie open house Wachiska Audubon’s newest native prairie acquisition is between Schuyler and Columbus near the Platte River. A talk about Nebraska’s prairies, guided tours, and refreshments. For directions, check website or call Tim at 402-483-5656. It sings at ten retirement and care centers each month and performs at special events, service clubs and church groups. The musical selections bring back memories and include numbers for the “young at heart”. The Chorus sings from March through Christmas. Rehearsals are every Monday at 9 am at the F St. Center (13th and F Sts). If interested in singing or to book a performance, Darlene at 402-466-6925. Jun 3 What Do your AncestryDNA Results Mean? Jun 12 What Do your AncestryDNA Results Mean? Second Saturday of each month11:30 am – 1:30pm Aldersgate United Methodist Church, 8320 South St Potluck every other month (Jul 14) Bring a dish to share and your own table service. Meetings include international and local education and suggestions for action. Info at lincoln@citizensclimatelobby.org. Monthly board meetings on second Wednesday each month Lincoln High library – 2229 J St. Guests welcome; anyone welcome to become member. Info Gordon at 402.472.9284 or gscholz1@unl.edu. Meets the first Tuesdays 7 – 9 pm at Capital City Christian Church, 7800 Holdrege St Demonstrations, critiques, hands-on activities, and workshops. Art is displayed for sale at Out of the Box Architectural Salvage Store. 402 488-0388 or 402 570-9476 no meetings Dec or Jan.
Group of amateur astronomers meets the last Tuesday of each month, 7:30 pm at Hyde Observatory. The Caregiver Education Group sponsors meetings for caregivers on the fourth Tuesday at 1:30 pm Saint Paul UMC, 1144 M St, Room 155. Parking underneath the church. Enter off 11th St Everyone welcome. Caregiver Drop-in Support Group third Wednesday 5 – 6:30 pm Tabitha The Club–Adult Day Services, 4600 Valley Rd. Care for loved one provided at no charge. Meal available for $5. Meets monthly every 3rd Sunday evening. Activity & location vary, check Facebook Group or JDRF Lincoln & Greater Nebr Office for info at lincoln@jdrf.org or 402-484-8300. Second Tuesday of every month 7-8:30 pm, Bryan Hospital East, 1600 S. 48th St, Medical Plaza building, classroom 3. First Sunday of each month 1 pm. Bryan East adjacent to cafeteria, 1600 S. 48th. St. Provides support by helping patients gain an active life after surgery. Contact 402 310-3496. Meets 3rd Tuesday of the month except Dec & Jan 3:30 – 5 pm Conference Center, Classroom 2, Bryan Health West; 2300 S. 16th St For stroke survivors and caregivers; Contact Jenny at 402-481-9368 or jenny.abler@bryanhealth.org. Search for other Nebraska stroke support groups at www.NebraskaStroke.org/events or contact hello@nebraskastroke.org. 2nd & 4th Sundays during June-August 2 – 4 pm Meet at Calvert Rec. Center, 4500 Stockwell, Support and fun social activities for widows and widowers. Free 402-441-8480.